Perfect archiving for valuable prints. These cases are ideal for archiving and for the presentation of prints or artwork. They can be made of leather, linen or felt, and are available in a variety of sizes and heights. 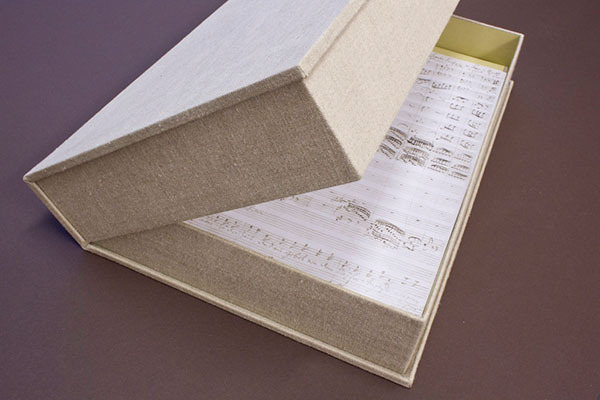 The interior finish and sides are made of linen, and the cases can also be embossed.